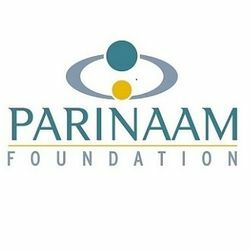 Parinaam Foundation was incorporated as a not-for-profit organisation under Section 25 of the Companies Act 1956, on March 31st, 2008. Parinaam received its tax exempt status under Section 12A on January 20th, 2009 and its approval under Section 80G of the Income Tax Act 1961 in July 2009. The 80G (5)(vi) of the Income Tax Act 1961 approval, which allows Indian citizens a tax break on donations, has been validated "in perpetuity" under CBDT Circular No. 5/2010. The general approval under the Foreign Contribution Regulation Act 2010 (FCRA) has also been approved by the Home Ministry of the Government of India and is valid for 5 years until January 16th, 2017.